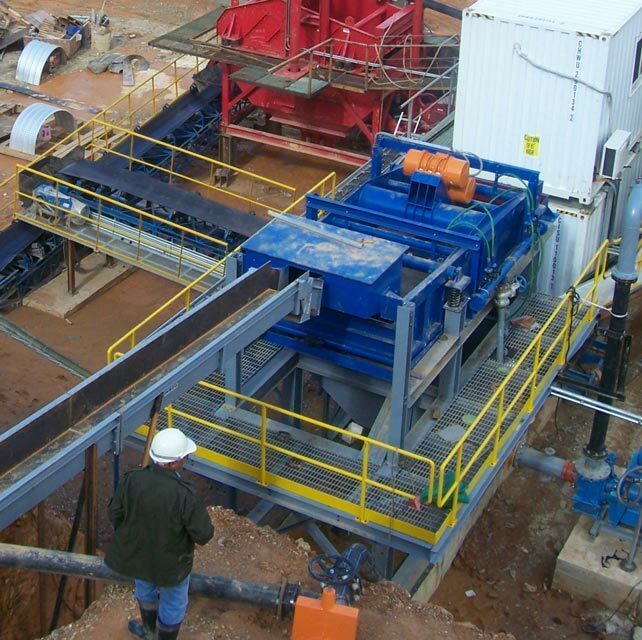 Our Mineral Processing Research – Sepro Mineral Systems Corp.
Sepro Mineral Systems is dedicated to becoming the leading single-source supplier of global mining, metal and aggregate solutions. We believe that our continual advancements in technology and mineral processing allow our customers to thrive regardless of market conditions, improving their bottom lines. Our heavy investment in research and development allows us to deliver this advantage to all projects we are a part of. Through our research efforts, we’ve developed groundbreaking technology like our Blackhawk100 Cone Crusher and Falcon Gravity Separators. Our Falcon Gravity Separators have even been proven to outperform Knelson Concentrators and improve the gold yield for companies like TMAC. Now, since we are nearing the end of 2018, we are excited to announce that we will be sharing news on some of our 2019 planned R&D goals very soon! In the meantime, you can check out some of our other published technical papers, which have been conducted by Research Institutes, Universities, and on-site trials. Here is a list of a few published research papers that Sepro is proud to be a part of, for a full list of technical papers click here. Looking For An “Outside The Box,” Solution? If you are looking for an answer beyond the capabilities of currently available technology, connect with our Sepro Projects Deparment. Leading R&D starts by asking the right questions. We want to hear your ideas so that we can provide the next big advancement in mineral processing and aggregate solutions.